Efficient behavioral assays are crucial for understanding the neural mechanisms of cognitive functions. Here, we designed a high-throughput automatic training system for spatial cognition (HASS) for free-moving mice. Mice were trained to return to the home arm and remain there during a delay period. Software was designed to enable automatic training in all its phases, including habituation, shaping, and learning. Using this system, we trained mice to successfully perform a spatially delayed nonmatch to sample task, which tested spatial cognition, working memory, and decision making. Performance depended on the delay duration, which is a hallmark of working memory tasks. The HASS enabled a human operator to train more than six mice simultaneously with minimal intervention, therefore greatly enhancing experimental efficiency and minimizing stress to the mice. 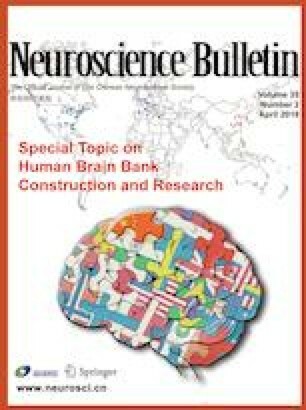 Combined with the optogenetic method and neurophysiological techniques, the HASS will be useful in deciphering the neural circuitry underlying spatial cognition. The work was supported by the Instrument Developing Project of the Chinese Academy of Sciences (YZ201540), the National Science Foundation for Distinguished Young Scholars of China (31525010), the General Program of the National Science Foundation of China (31471049), the Key Research Project of Frontier Science of the Chinese Academy of Sciences (QYZDB-SSW-SMC009), China – Netherlands CAS-NWO Programme: Joint Research Projects, The Future of Brain and Cognition (153D31KYSB20160106), the Key Project of Shanghai Science and Technology Commission (15JC1400102, 16JC1400101), and the State Key Laboratory of Neuroscience, China. We thank Xuehan Zhou and Dr. Ding Liu for assistance with designing the system and for training protocol optimization, and Dr. Xiaoxing Zhang for suggestions about programming.